Julius Erving and Moses Malone had a special bond that went beyond their relationship as 76ers teammates. 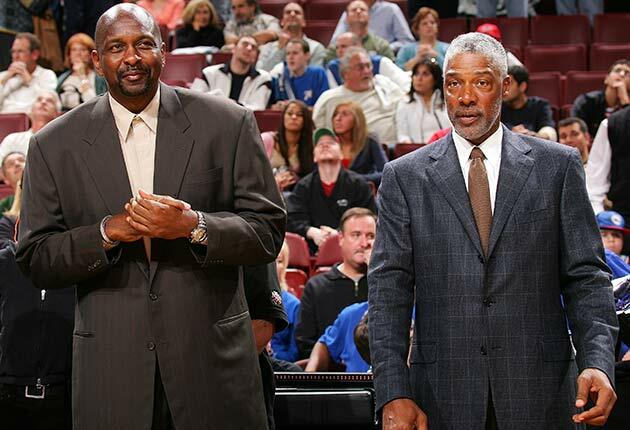 Dr. J reminisces about his old friend on what would have been Moses's 61st birthday. Get all of DeAntae Prince's columns as soon as they’re published. Download the new Sports Illustrated app (iOS or Android) and personalize your experience by following your favorite teams and SI writers. 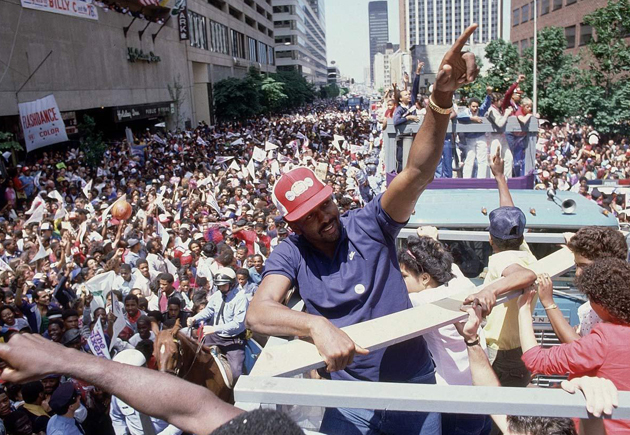 Julius Erving played for a tight-knit 76ers team that always found time to recognize special occasions. 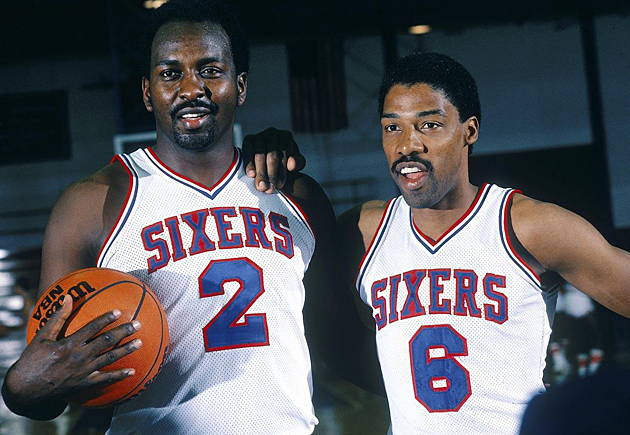 Erving remembers spending multiple birthdays with Moses Malone over the course of their four seasons together in Philadelphia. They both celebrated their personal holidays during the second half of the NBA season—Erving on Feb. 22 and Moses on Mar. 23—when teammates became surrogate family members for players chasing postseason glory. Erving continued the tradition long after his career ended, maintaining a list of friends he checked in with and sent well wishes. As time wore on, he noticed the list growing shorter. Erving became acutely aware of that fact this March, as the day that would have marked Malone’s 61st birthday approached. Malone died on Sept. 13 due to cardiovascular disease at the age of 60, less than a month after Dawkins died from a heart attack at 58. ​​Erving valued the time he spent with Malone, from the moment he welcomed the 19-year-old Virginia native to the old ABA to the years they spent together as Sixers. In fact, Malone helped Erving win a battle before they ever took the floor together. Over the course of 11 professional seasons, Erving learned to harbor a certain disdain for Boston players and Boston people. Celtics forward M.L. Carr did nothing to help Erving break from this pattern in the summer of 1982, when he was “being his annoying self” during a basketball tour of China. Carr’s verbal barrage, which centered on Boston knocking Philadelphia out of the previous postseason, ended when Malone, the league’s reigning MVP, was traded to the 76ers in the middle of the trip. Before Malone could become entrenched within the city of Philadelphia, an early lesson about his new home came in a parking lot, not on the basketball court. Malone, who stood 6’10” and drove a convertible, decided to leave shirts in his car. The shirts were gone when he returned from practice. ​Erving and Malone were an instant hit, leading Philadelphia to a 65-17 regular season and a first-round bye in the 1983 playoffs. But before the postseason tipped off, Moses was asked what it would take to win an NBA title and the famous, ‘Fo, Fo, Fo’ quote was born. Context aside, Moses was forever remembered for the quote and made good on his plan to lead the Sixers to a title alongside Erving. Philadelphia went 12-1 en route to the only NBA championship either player would capture. Erving made his seventh straight All-Star Game and Moses was crowned the regular season and Finals MVP. Erving is quick to drop names of players who affected his career and helped the Sixers win, but he notes that Moses defined a period when the asterisk was lifted from his legacy. Malone went into the Basketball Hall of Fame in 2001 as a member of the Sixers, even though he spent extended time with the Rockets, Hawks, Bullets and Bucks. He bounced around, but Malone found success wherever he went, winning three MVPs over the course of his career and retiring as one of the greatest players in league history. Erving had Malone anecdotes and stories at the ready as he reflected on old teammates. With Malone’s birthday looming, Erving said his mind wandered and fixated on moments far in his past.